The impact of the iPhone 6 and 6 Plus launch continued growing its share in all surveyed countries except for Japan. 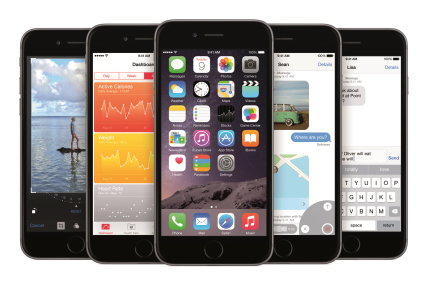 The latest smartphone sales data from Kantar Worldpanel ComTech, for the three months ending November 2014, shows that the impact of the iPhone 6 and 6 Plus launch continued in the run up to Christmas with iOS growing its market share in all surveyed countries except for Japan where performance in 2013 had been boosted by the addition of NTT DoCoMo as a carrier partner. "While remaining the dominant global OS, Android’s market share dropped in most European markets and in the US where the decline was the first since September 2013", said Carolina Milanesi, Chief of Research at Kantar Worldpanel ComTech. "A decline in Android market share does not necessarily translate into bad news for all the ecosystem’s players. The choice of brands and devices within the ecosystem empowers consumers to drive different fortunes for the players in it”, added Milanesi. In the three months ending November, Samsung particularly felt the pressure and saw its market share decline across Europe and in the US. By contrast Motorola’s share grew thanks to the refresh of the Moto X and Moto G offering good value for the money. Across Europe*, Android remained the dominant OS with a market share of 69.9%, although this is 3.2 percentage points lower than the same period in 2013. “Great Britain saw the strongest share decline for Android at 6.7 percentage points”, said Dominic Sunnebo, strategic insight director at Kantar Worldpanel ComTech Europe. Apple’s market share gain, triggered by the iPhone 6 and 6 Plus launch, continued into November when it reached 42.5% of British sales for a growth of 12.2 percentage points year-on-year mainly at the expense of Android. “The longer the new iPhone models are on the market the more their appeal will extend beyond Apple’s loyal customers. For now customer switching from Android to iOS remains stable at 18%”, added Sunnebo. In the US, Apple reached 47.4% of sales, 4.3 percentage points higher than the same period in 2013. “The iPhone 6 was the best selling phone in the three months through November 2014, capturing 19% of smartphone sales”, said Milanesi. Verizon and AT&T made up 57% of iOS sales while Verizon and T-Mobile were the top two carriers for Android accounting for 33.7% of all Android smartphones sold. In urban China, Android retained its leading position with a market share of 80.4%. “The wide variety of products offered by local manufacturers continues to push Android’s share”, said Tamsin Timpson, strategic insight director at Kantar Worldpanel ComTech Asia. “Xiaomi remains the biggest contributor to Android’s success as it averaged 30.2% of sales in the three months ending in November, an astonishing 18 percentage point rise over 2013”, added Timpson. Apple sales saw a small increase of 1.1 percentage points, which brought Apple’s share of the smartphone market in urban China to 18.1%. China Mobile remained Apple’s main channel with sales through the largest Chinese carrier accounting for 63% of Apple’s overall sales. Smartphone penetration reached 58% in the US and 65% across Europe’s big five economies. “While die-hard featurephone owners state they are not planning to buy a smartphone in the next 12 months, they might not have a choice as vendors continue to transition their portfolio away from featurephones to smartphones”, concluded Milanesi. Forty-seven percent of featurephones owners looking to change their current device in the next 6 months in the US and 35% across Europe top 5 are not planning to upgrade to a smartphone. *The big five European markets include Britain, Germany, France, Italy and Spain. 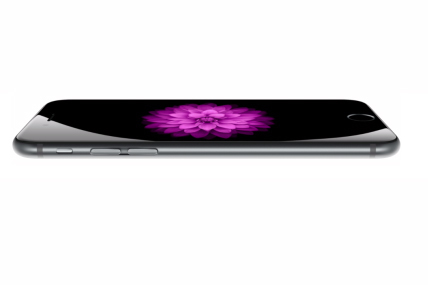 The iPhone 6 launch has sent Apple’s share of British smartphone sales up 10.4 percentage points.